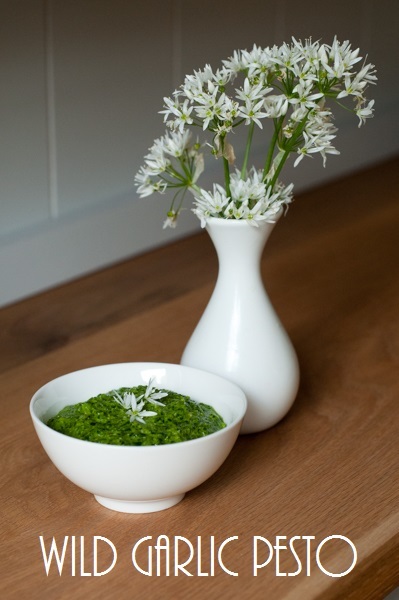 I already gave my tips for foraging for wild garlic and shared a few photos of the fun morning we had collecting leaves to make pesto but here is the recipe. It was delicious served simply by stirring through spaghetti - the twins LOVED it and both asked for more which is pretty unusual as they normally just ask for fruit after dinner! Thoroughly wash and drain the garlic leaves (I whizzed them in the salad spinner) and place into food processor. Blitz to break them up a bit then add the parmesan and blitz again. 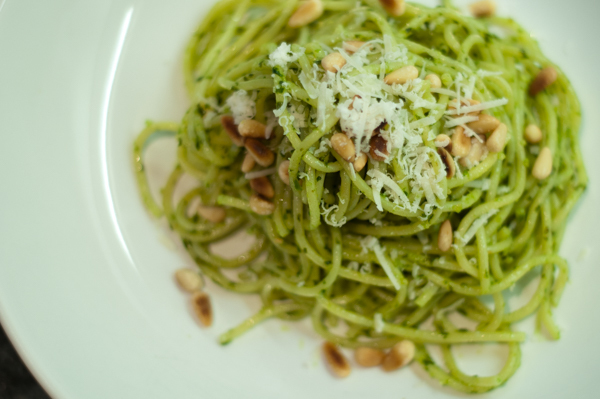 Add the pine nuts and juice of 1/2 lemon and blitz again, drizzling olive oil in until you reach your desired consistency. Stir in more lemon juice and seasoning to taste. To serve, just stir through desired pasta, I also added some extra toasted pine nuts and grated parmesan and it would be lovely with some chicken. 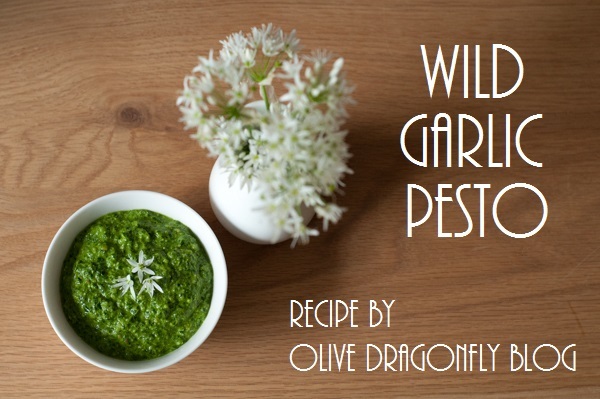 It's great with spaghetti and Zoe also recommends smearing it on roast lamb or in a risotto. It can also be used as a dip on its own and freezes well, Suz recommended using ice cube trays and then you can just take one or two cubes each time you need it. 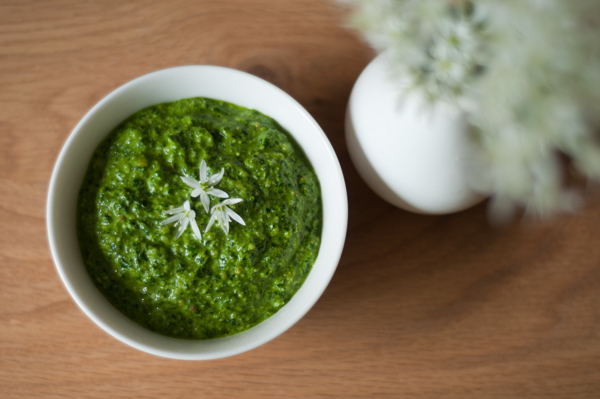 Ours wasn't around long enough to freeze but next time I hope to make more and I really want to try recreating The Warren's Wild Garlic Soup too!